Ananya Swaminathan aka Alia Bhatt is playing a modern Tamilian in the upcoming movie 2 States. 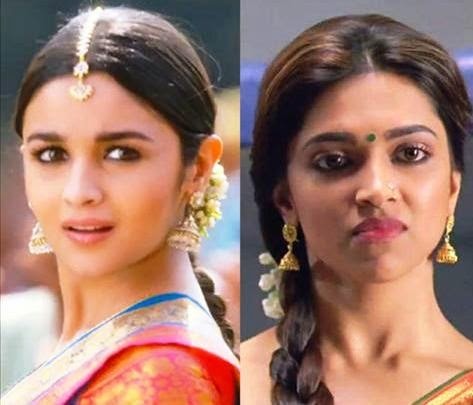 No doubt both the actress Alia and Deepika look stunning in their roles. They wore half and half sarees paired with ethnic jhumkas and bindi that make them look like typical south Indian's. Alia is spotted wearing south Indian half and half saree in many scenes. Alia Bhatt looked gorgeous in a traditional kanjivaram half and half saree that had gold border, the trademark jumkas, hair tied in a plait, bangles and small round bindi looked great on her. They are available in many bright colors with different work over it. 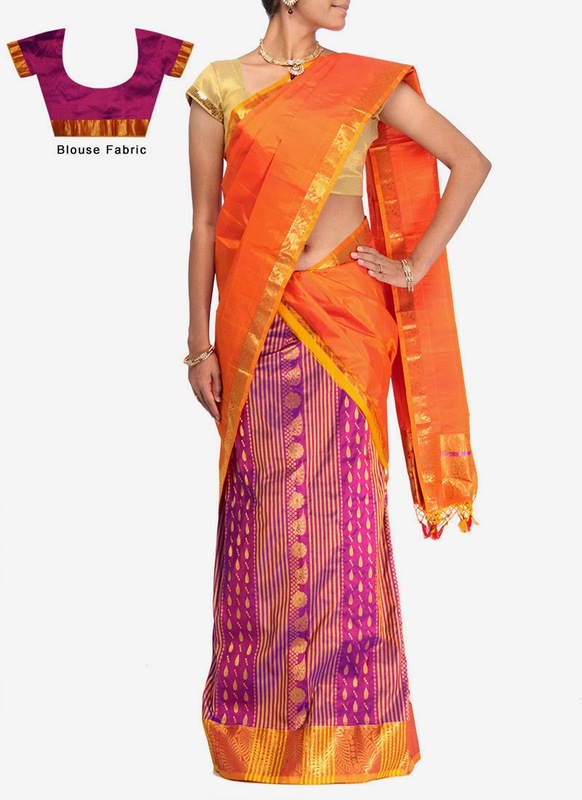 This attire is also worn on many festivals and special occasions. Alia is looking super gorgeous in this traditional outfit paired with traditional bindi, gajara, bangles and jhumkas. What do you have to say about her look? 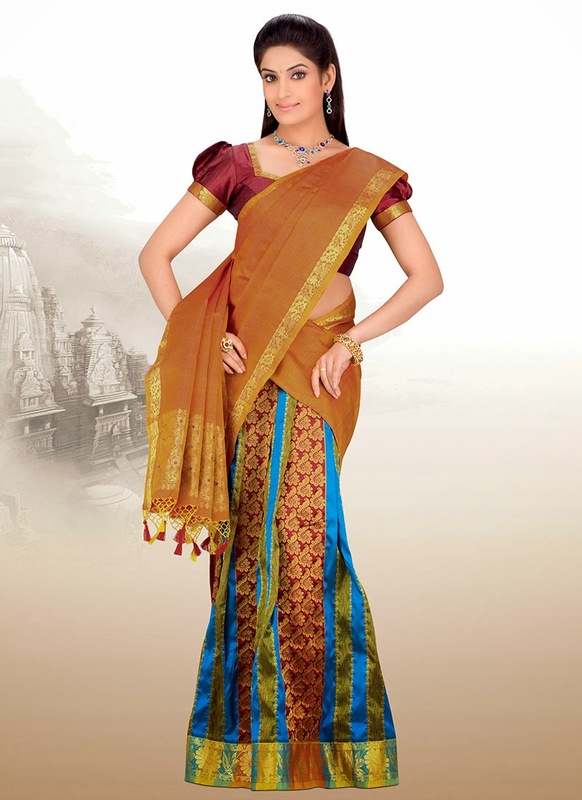 Half and half saree is also called a two-piece saree. This outfit is very popular among South Indians. Young girls between puberty and marriage wear this dress. 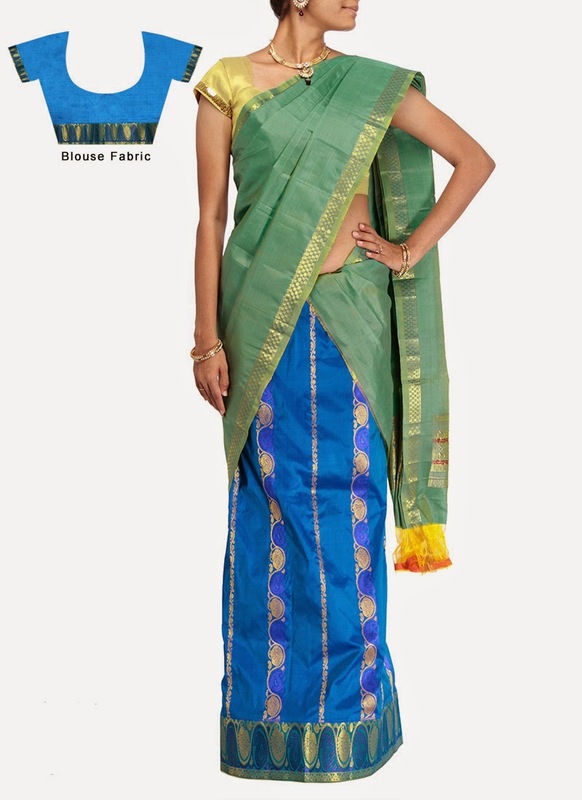 It is just like the sari, it has a skirt, a blouse and odni, worn by draping it around the waist, with one end over the shoulder.